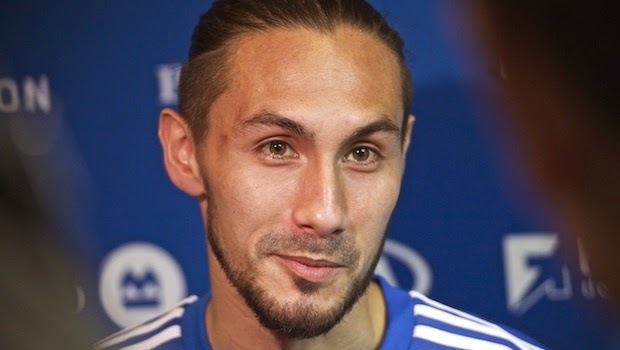 This week on 10 Questions With a Pro we got to know a bit about Canadian International and Major League Soccer winger with the Montreal Impact, Issey Nakajima Farran. 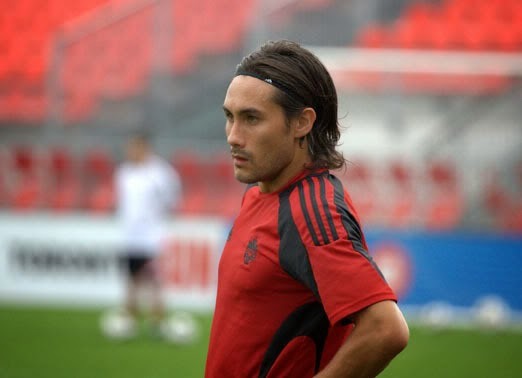 Issey had spent time with various clubs in Asia, Europe and North America and has collected 30 caps for the Canadian national team. FootyFair: You have spent time playing in Japan, Singapore, Denmark, Australia, Cyprus and now you are in Canada. In which country do you feel most in your comfort zone? Which did you like living in most? Issey Nakajima-Farran: I enjoyed Singapore very much and Singapore was very good to me in making my first stepping stones in my career which lead me to Denmark. So I will always have a special place for Singapore for me and would love to go back one day to finish how it all began, even though Japan is where it really started for me but I never got on to the pitch. Tokyo is a great city and I have many friends there who I grew up with and also the guys I played with in the youth system pursuing the professional career. I try to go back as much as possible as it is the city I spent my teenage years in. For me though with the European culture, Copenhagen has to be my top 3 cities. Where I enjoyed the football and the city life. Everywhere I've played though has its great vibes and style of life. Like Australia and Cyprus. I can't really say where's my favorite as everywhere I've been has been a great lifestyle and an amazing experience. FF: What was the one achievement you felt was your highest in football? INF: For me was the game against Brazil (with Canada's national team) before the World Cup in South Africa and Brazil had a full squad apart from Kaka and Ronaldinho. We lost 2-3 but we had a solid game and I had a chance to lead Canada but I missed the post by inches after chipping Julio Cesar. For me that was my most memorable game where I had full 90 minutes and enjoyed every second of it. Also getting player of the year in Singapore and in my first Danish club in Vejle was a great award for me which I will cherish. FF: You were born in Canada, but moved to Japan at a pretty young age. Do you believe the move was a crucial part in your football development, or do you feel you would be able to achieve the same level of play had you stayed in North America? INF: Well I moved when I was 3 to japan and started playing at the age of 8. Moved to England when I was 10. Playing for crystal palace and with what was available to youngsters back then with the schools of excellence system, I went to japan to spend my youth system where full education was mandatory and full training. So my parents gave me the opportunity to go to japan by myself to play for Tokyo Verdy and focus on my dream and get a diploma at the same time. I was playing for Crystal Palace at the time where we would train 2 times a week and a game on the weekend. I had to play for a Sunday team, school team, district and county level as well just to be able to play good football every day at the age of 10-16. For me with the older boys I knew in England I thought it was better for me to pursue in japan. Where, I only had a Monday night off and my days were long starting at 6am heading to school from my club dorm on the train for 1hr 30min and then rush to training in time for 6pm start. Finish training, have dinner with the team and hopefully try and keep my eyes open for homework. It was the hardest 2 years of my life, but well worth it. I could only hang out with my friends on a Monday evening which was difficult as many of them had all weekend to enjoy themselves so my teenage years were mainly to get to where I am today. But if my parents didn't support me and send me to pursue my dream in Japan I don't think I would have made it to where I am today. INF: Well I broke my ankle in my summer holidays when I was 13 which ruined my summer football camp and plans. That's when my dad took out a drawing pad and told me to draw what I saw which was couple of vegetables. All started there really. And in my school years, it's all I really paid any sort of attention and interest to along with physical education. 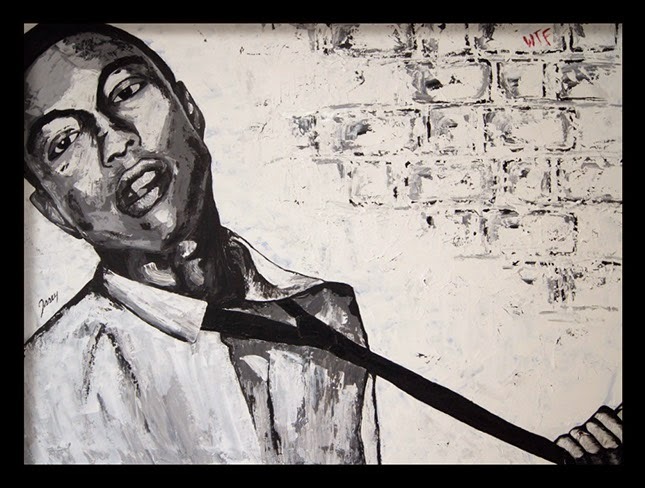 I've always had an interest in powerful paintings abut couldn't afford them. So I started doing what I wanted on my walls...which then lead to other team mates and friends asking for pieces. It all took off on its own with galleries and cafés showcasing my stuff. From Copenhagen to Barcelona and Australia. Hopefully Canada will have some interest in my stuff too. Time will tell. Just recently finished a piece for my current club Montreal impact with our team suit. Portraying the game passion that the fans could also relate to. I was going to do the club profile players like De Vaio or Nesta but I think I captured something more which is more than one face. FF: You are a Canadian international with over two-dozen caps for your country, what is your fondest memory of playing international football? INF: Always an honor to represent Canada. We haven't done very well with the players we have as on paper we should be a lot more successful than the results we have produced. But with Benito Floro I hope for better results and hope I can do my part to support the country. I love Canada and I really do love playing for Canada. I really hope the football can grow in Canada. Playing for the national team though seems to be more respected in Europe or outside Canada than in Canada. I hope time and results can change that mentality. As it's the whole country playing against another, we should have more pride in our nation in a collective mentality. But football is still young here and I'm sure it will all improve. FF: Do you have any rituals when it comes to football, and what is the most interesting ritual you've seen from another player? INF: I used to. I mean you prepare to your best potential and every game can be a different game. So after a while I binned my rituals as there's so many things outside of my control. So why try and control all the little things. But I was already close to thirty after many experiences and sharing other players thoughts and experiences. Seen many players with the craziest. But a goalkeeper I used to play with who plays for the national team of Cyprus was the craziest of them all. Great guy but every detail was repeated in his routine. From wearing a childhood Disney cap at the hotel to the religious cross he had laced out all over his stall before every game. To how he got kitted up. It was unbelievable. An amazing friendliest guy though. FF: If you could sign for any club in the world, which would it be and why? INF: Barcelona has always been my dream. Their football is really the most beautiful collective football in the world. It's not just one or two players but the whole "Tiki Taka" mentality is just so beautiful. Everyone that plays football, when you get into that moment where things are just zipping around and the opposition doesn't know where to start their pressure, it just gets us giggling when you're playing or even watching. FF: Before taking the game to the next level, most boys pretend to be a famous footballer when playing in the yard or at practice. Who was your idol growing up? INF: For me it's all started in japan. Ramos who was a Brazilian who played for Japan was a dream to watch. He was also playing for Tokyo Verdy and played in some of our youth training and was an inspiration with the ball. His philosophy of football or even life was inspiring. Zico was incredible too. Those two I really did idolize when I was growing up. Zidane and Ronaldinho were also incredible to watch. Not only their ability but the way they smiled and enjoyed the game was the biggest inspiration for me. Even at the highest level and pressure that they are in, they are having the time of their life. It's great to see. FF: What is your favorite sport, other than football? INF: For me, I love surfing, snowboarding and kite boarding. After football, that's all for me. And the occasional paint brush. FF: At this summer's World Cup, who did you support in Brazil? How do you feel your team did? INF: I was supporting Holland. Jonathan de Guzman. To see him do so well and playing a big part in the bronze medal was great to see and support. Pretty much the whole Canadian team were supporting him. His brother Julian was travelling with him following his experience and we were following in our chat group the whole experience. Was great to see. 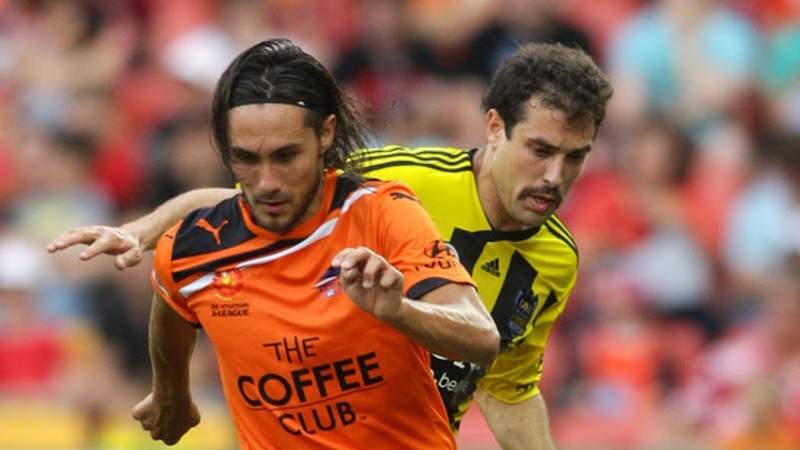 We thank Issey Nakajima-Farran for taking the time to share his experience with FootyFair.com and our readers.